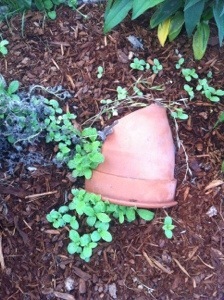 In the last week we’ve had a lot if rain in Portland, mostly at night, and my garden is coming back to life! Not that it was declining in any way to begin with. I can see why people hesitate to plant borage – I have a smattering of new seedlings in the borage/echinacea bed. 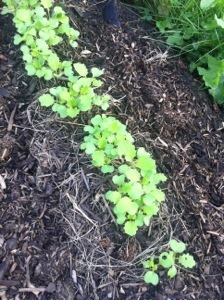 And true to form, my arugula is coming back in bed 2. 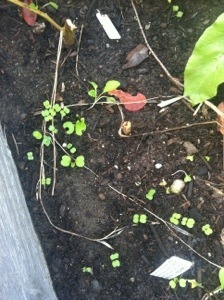 This weather gas been perfect for my chicory seedlings, which are doing great in bed 4 and around the apples. Next Post Planning for fall – saffron bulbs!